A Fun and Festive Educational Tool for Both Home Enthusiasts and Bar Professionals! Let’s face it: just ten years ago, hard cider was something sipped by expats watching rugby matches or pined for by former foreign exchange students. Heck, many people thought cider was something preschoolers drank in sippy cups before naptime. More than 50 cider cocktail recipes! Cider Rules is a short, smart, pop culture-driven look at the hard cider revolution—the what, how, and why of this fantastic beverage. 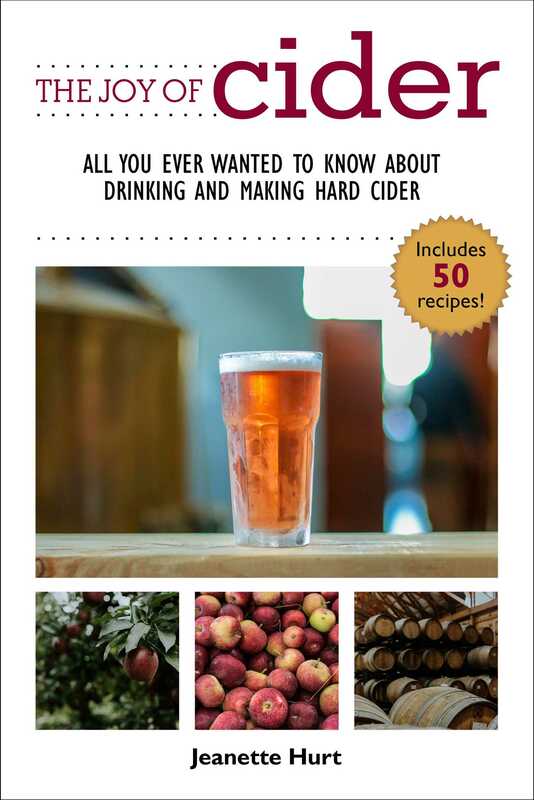 The book explores the cider varieties and brands to try, touches on the history of the drink that fueled the American Revolution, and details the do’s and don’ts of making cider cocktails. Jeanette Hurt is the award-winning writer and author of nine culinary and drink books, including the critically-acclaimed Drink Like a Woman, The Cheeses of California: A Culinary Travel Guide, which received the 2010 Mark Twain Award for Best Travel Book, and The Complete Idiot’s Guide to Wine and Food Pairing. A full-time journalist, Jeanette has written about spirits, wine, and food for TalesofTheCocktail.com, theKitchn.com, Four Seasons magazine, Wine Enthusiast, Entrepreneur.com, Esquire.com, and dozens more. She regularly talks about spirits and cheese on The Lake Effect Show on WUWM, Milwaukee’s NPR affiliate. She has been a featured speaker at the Kohler Food & Wine Experience, Southeast Wisconsin Book Festival, the American Society of Journalists and Authors, and more. She’s even taught classes at The Northman, Chicago’s very first cider bar. When she’s not writing, speaking, traveling, cooking, or shaking up some concoction, she can usually be found walking along Milwaukee’s lakefront with her family.